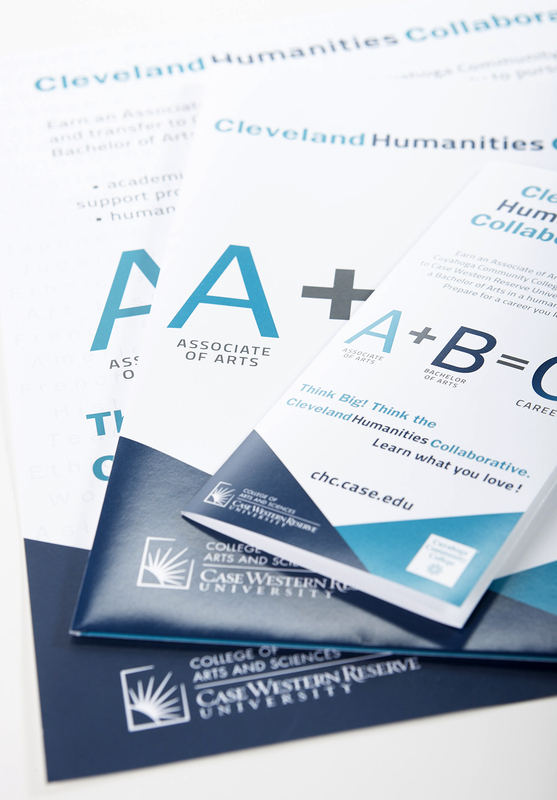 Cleveland Humanities Collaborative Collateral is a partnership of Case Western Reserve University and Tri-C of special programs for students to benefit and excel, with the aid of both schools. 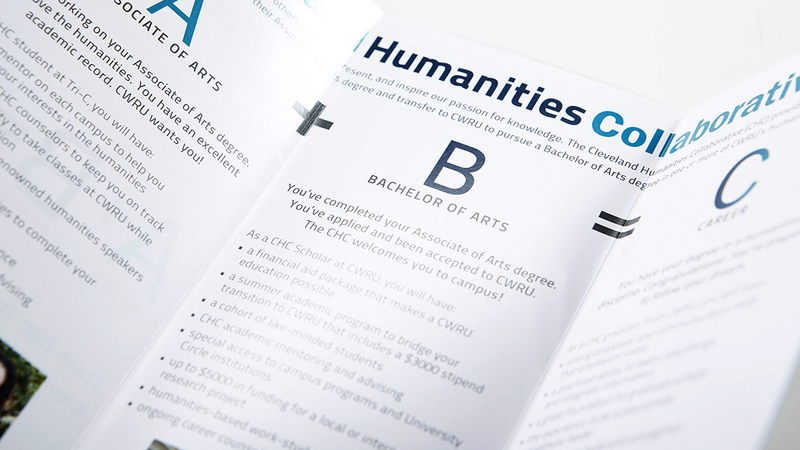 Each brand had to be clearly represented while creating a new one to distinguish the the program. 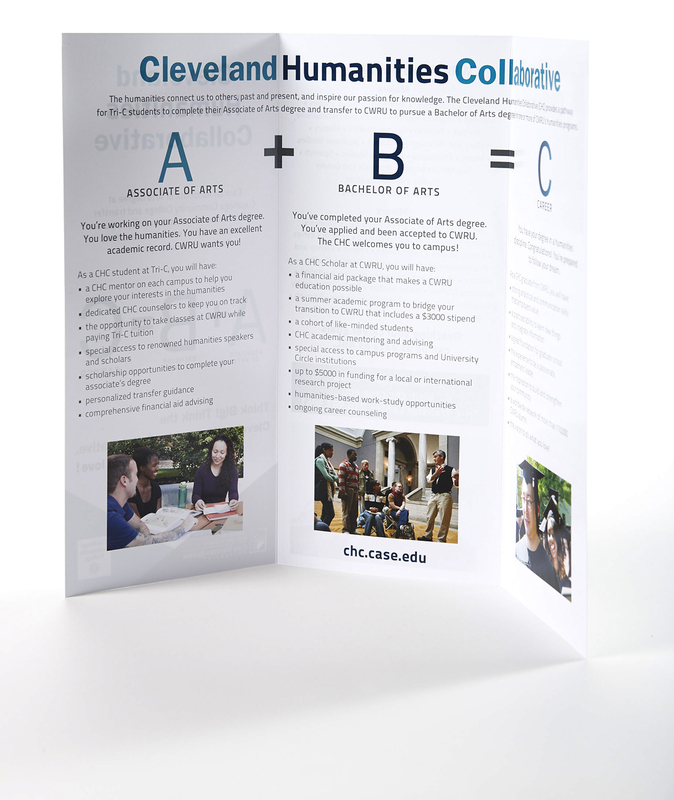 Collateral was displayed on both campuses and mailed to students.